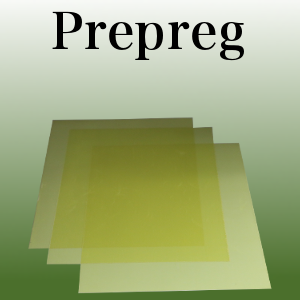 Pre-preg is "pre-impregnated" composite fibers where a thermoset polymer matrix material, such as epoxy, is already present. B-Stage pre-preg is always stored in cooled areas since heat accelerates complete polymerization. Hence, composite structures built of pre-pregs will mostly require an oven or autoclave to cure. Most of you know about Connora Technologies' (Hayward, CA, US) RECYCLAMINE hardener for epoxy resins that enables recycling of thermoset composites without pyrolysis. (If not, read my blog "Connora makes epoxy truly recyclable".) This is achieved by designing the thermoset cross-links to be broken, which converts the epoxy into long polymer strands, a.k.a. thermoplastic epoxy. Thus, not only can the fibers be captured without chopping or shredding, the resin is also recovered for reuse. Great. But does it really work? According to work published by two separate groups in 2016: Yes. Connora had already presented work in 2013 and 2014 ("Recyclable by Design: A Chemical Approach to Recyclable Epoxy Composites,"CAMX 2014) that explored how RECYCLAMINE works in composites and post-recycled fiber performance. Though RECYCLAMINE can be used in a variety of processes (infusion, filament winding, etc. ), the 2016 presentations mainly demonstrated RECYCLAMINE in high-pressure resin transfer molding (HP-RTM) and characterized laminates made from virgin and recycled materials. Gianluca Cicala, S.D. La Rosa, A. Latteri, R. Banatao, S. Pastine. RECYCLAMINE hardeners feature amino end groups connected by a central group, which is where cleavage of the cured epoxy cross-links is achieved with temperature (70-100°C) and pH (acidic). The composite laminate is placed into hot vinegar, and after 1-3 hours (time depends upon temp. ), the resin is dissolved away from the fiber, maintaining the original architecture without degradation or loss of fiber length. The fiber is dried and ready for reuse, while the epoxy is collected as a thermoplastic material akin to a stiff polyamide but with reportedly exceptional adhesive properties. The project completed by Fraunhofer Project Center for Composites Research (FPC, London, Ontario, Canada) and the Dept. of Polymer Engineering at the Fraunhofer Institute for Chemical Technology (ICT, Pfinztal, Germany) aimed to demonstrate cradle-to-cradle recycling of a thermoset composite made using HP-RTM. A series of 0.5 m2 panels were fabricated using RECYCLAMINE 101 hardener with Entropy Resin’s (Hayward, CA, US) SuperSap 300 bio-epoxy. Unidirectional carbon fiber preforms supplied by SGL (Wiesbaden, Germany) were placed into a heated mold, resin was injected and cured, and parts were demolded for testing. SOURCE: Fig. 2 and 3, “Recyclable HP-RTM molding epoxy systems and their composite properties”, CAMX 2016. Mechanical testing of the panels made with virgin and recycled preforms showed all moduli values (tension, compression, flexure) to be nominally the same and no significant difference in 0º panel properties. There was a 10-20% decrease in 90º panel strength and corresponding failure strain, which is believed to be due to sample handling during recycling. SOURCE: “Recyclable HP-RTM molding epoxy systems and their composite properties”, CAMX 2016. The second set of projects was conducted by the University of Catania (Catania, Italy), Dept. of Civil Engineering and Architecture (DICAR) with findings published in Volume 104 of the journalComposites Part B.
HP-RTM panels were made with eight plies of a 190 gsm twill fabric from T300 carbon fiber supplied by Prochima (Calcinelli di Saltara, Italy) in a biaxial layup [0/90]8 and SuperSap 300 epoxy resin with RECYCLAMINE 301 hardener. They were molded using HP-RTM technology developed by Cannon-Afros (Saronno, Italy). Composite laminate samples were recycled in a 25 vol % acetic acid solution at 80°C for 1.5 hours. Scanning electron microscope (SEM) analysis showed no significant difference between virgin and recycled fibers and that chemical treatment does produce clean fibers with no damage. The thermoplastic polymer recovered is described as a poly-hydroxyamino ether (PHAE) with a Tg of 79.5°C obtained via DSC and a tensile strength of 55 MPa and modulus of 2.4 GPa obtained from testing per ASTM D638. The virgin and recycled materials were determined to be suitable for automotive structural applications and processed well using HP-RTM. A baseline life cycle analysis (LCA) was established with the next step to incorporate results from recovery and re-use of the epoxy thermoplastic. Once this is complete, the LCA will be updated and a life cycle cost (LCC) analysis of the recycling process will be carried out. Further work demonstrating RECYCLAMINE with hybrid laminates of carbon and natural fibers was presented at CAMX 2016. The same resin and carbon fabrics from above were combined with a Biotex 400 gsm twill flax fiber fabric from Composites Evolution (Chesterfield, UK). Panels were fabricated using HP-RTM and vacuum-assisted resin transfer molding (VARTM) and then tested. VARTM panels were cured at room temperature for 6 hours with a 1-hr post-cure at 120°C. Test results, omega-shaped HP-RTM mold and hybrid sample composition. SOURCE: “The use of recyclable epoxy and hybrid lay up for biocomposites: technical and LCA evaluation,” by Gianluca Cicala, A.D.La Rosa, A.Latteri, R.Banatao, S.Pastine, CAMX 2016. Cured laminates were then soaked in acetic acid at 80°C for 3 hours until matrix was fully dissolved and fibers were clean. Both natural and carbon fiber reinforcements were recovered and analyzed with no detected degradation. Thermoplastic epoxy recovered tested per ASTM D790 showed a tensile strength of 42.3 MPa and modulus of 2.85 GPa. IPCC GWP indicator analysis for different end of life options for 8-ply carbon fiber laminates. SOURCE: Fig. 11, “The use of recyclable epoxy and hybrid lay up for biocomposites: technical and LCA evaluation,” by Gianluca Cicala, A.D.La Rosa, A.Latteri, R.Banatao, S.Pastine, CAMX 2016. An LCA was performed with the 8-ply all-carbon laminates having the most environmental impact. Compared to landfill(yellow)and incineration(red), the RECYCLAMINE-enabled chemical recycling method demonstrated (green)offers a 60% improvement in global warming potential (GWP) using the carbon dioxide equivalents (CO2e) established by the Intergovernmental Panel on Climate Change (IPCC) in 2014. Connora will continue this work in its Phase II SBIR awarded October 2016, specifically analyzing the performance of RECYCLAMINE composites in HP-RTM. Stay tuned for future updates.